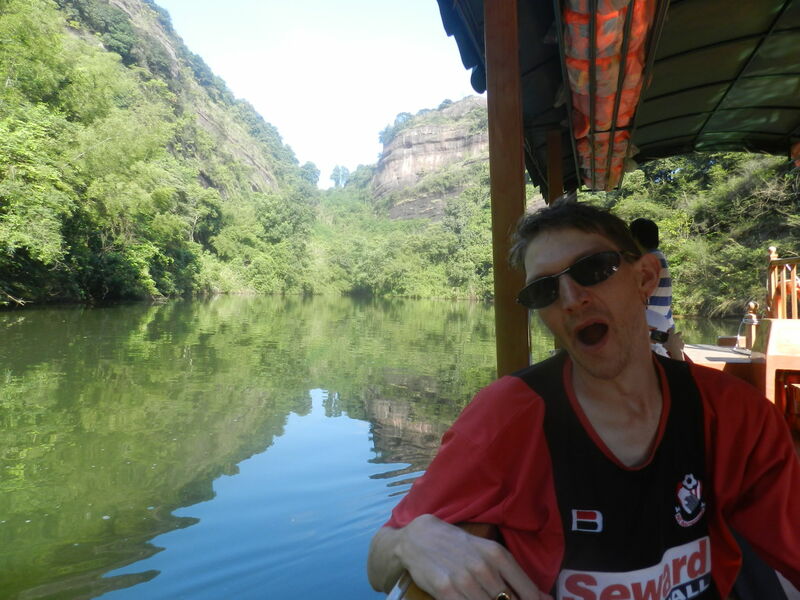 On a slow boat through China – I pick my top 20 obscure types of transport from around the world. 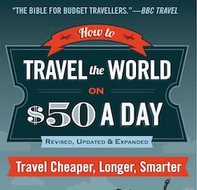 When you travel a lot, you get fed up with the “big five”: cars, buses, planes, boats and taxis. It’s truly important to take a break from these normal transport types that cover the skies, waters and landscapes of this planet. My travels have seen me use all sorts of different methods down the years in my attempts to explore odd nooks and crannies in far off lands. 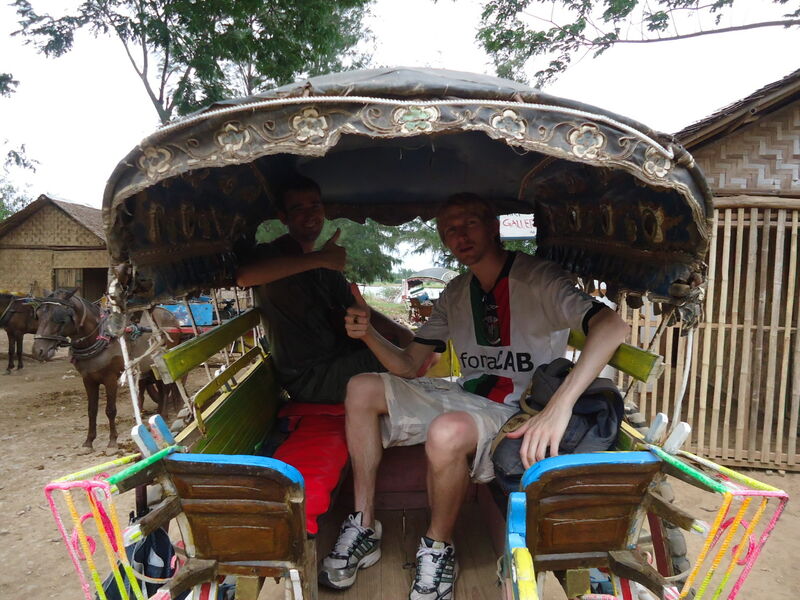 Here are my top 25 alternative and quirky types of transport from around the world. This is an article I’ve really enjoyed writing by the way, bringing together 11 years of transport types into one cool post for you. I’ve probably missed a few classics out as well – racked my brain coming up with these! Drinking on yet another night train in China – but what are the more alternative types of transport that I’ve taken? When getting the ferry from Guernsey to Sark in the Channel Islands, you arrive at the bottom of a hill. 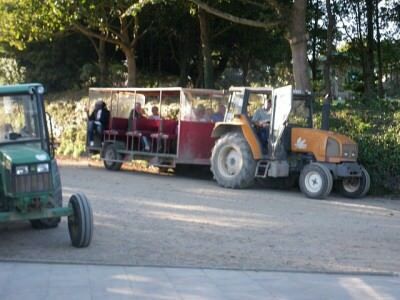 Sark is an island that doesn’t allow public transport at all and the rule is no motorised vehicles except for a tractor! So on arrival in this unusual feudal state, you get a carriage attached to the back of a tractor up to the main town area on the island. On the back of the tractor and carriage on Sark. Sark is a magical place that has its own stamps and government, yet is ultimately controlled by Guernsey. They use Guernsey notes there (pound sterling) and the population is less than 600. This is a fantastic alternative entrance onto an island. Random transport I’ve got – the tractor in Sark. Marshrutky is the plural form of Marshrutka, these are mini-buses that you use when touring the Caucases. 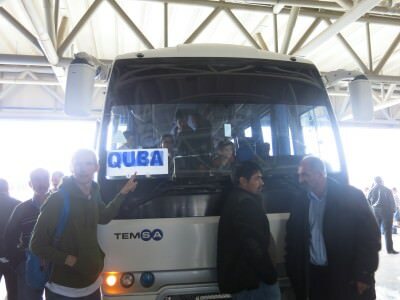 I have experience of travelling on Marshrutky in Georgia, Armenia, Azerbaijan and Nagorno Karabakh. 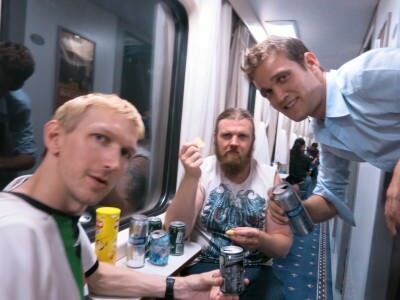 You just turn up to the Marshrutky station in whatever city you’re in and hop inside – there is no ticket issued normally and booking in advance is not really possible. One of the Marshrutky we took from Stepanakert to Vank in Nagorno Karabakh was crazy. Rammed full. Alternative transport – boarding a Marshrutka bound for Quba in Azerbaijan. You have to love the Bemos in Indonesia. Cheap and efficient and they make for a local experience. They are basically a van with seats in the back and you pay when you get off. No actual Bemo stops – you normally just flag them down and jump inside. I used them on my backpacking in Singaraja trip. 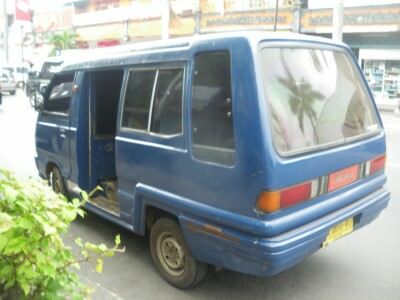 A Blue Bemo in Singaraja, Bali, Indonesia. 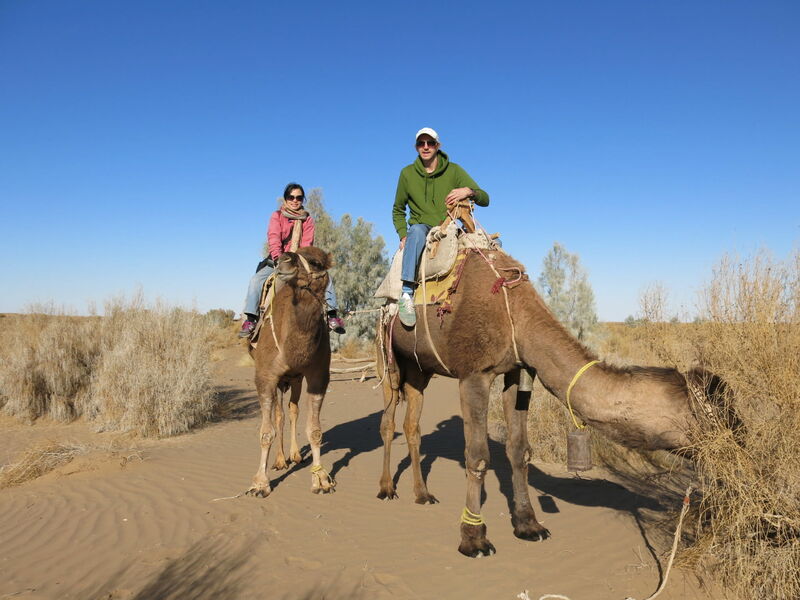 I had been to a load of countries where camel riding was possible yet it wasn’t until last year in Iran that we did it. This was a fantastic experience on camel back through the Dasht-e Kavir desert in the tiny village of Mesr in Iran. Camel Riding in Iran. On the back of a camel in Mesr, Iran. I’m not normally a fan of horse and cart as they treat the horses really badly and I don’t think it’s fair. However on arrival at the ancient city of Inwa in Myanmar, we were told the only option to get to the Monastery and Tower was to go by horse and cart so we did. Tuk Tuks are mostly a South East Asia thing and the first country I tried them in was in Thailand, actually near Khaosan Road in fact. 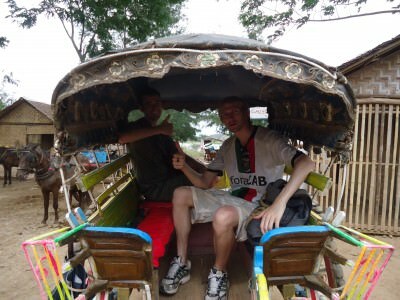 However I’ve also used Tuk Tuks in Laos, Cambodia and even Ethiopia. 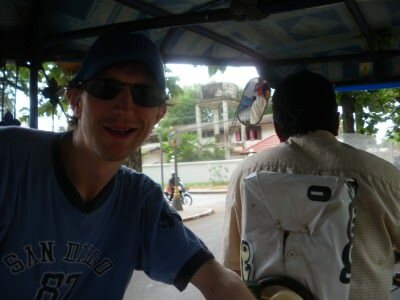 In the back of a Tuk Tuk in Vientiane, Laos. 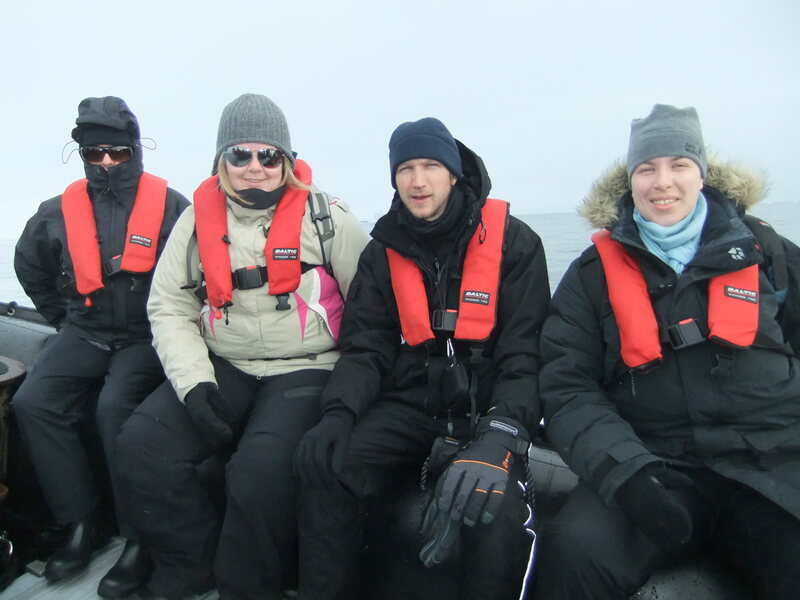 When touring Antarctica, you get used to being on Zodiacs. These are 8-10 man dingys with an engine that take you from your ship to land on Antarctica. Antarctica is still my favourite trip to date and I loved riding on the Zodiacs. We even did a Zodiac cruise at Foyn Harbour and Elephant Island. It was just amazing. On a Zodiac cruising Antarctica in 2010. In the town of Pinnawala in Sri Lanka there is a centre that looks after elephants. For a small fee you can get a short ride on the back of an elephant. 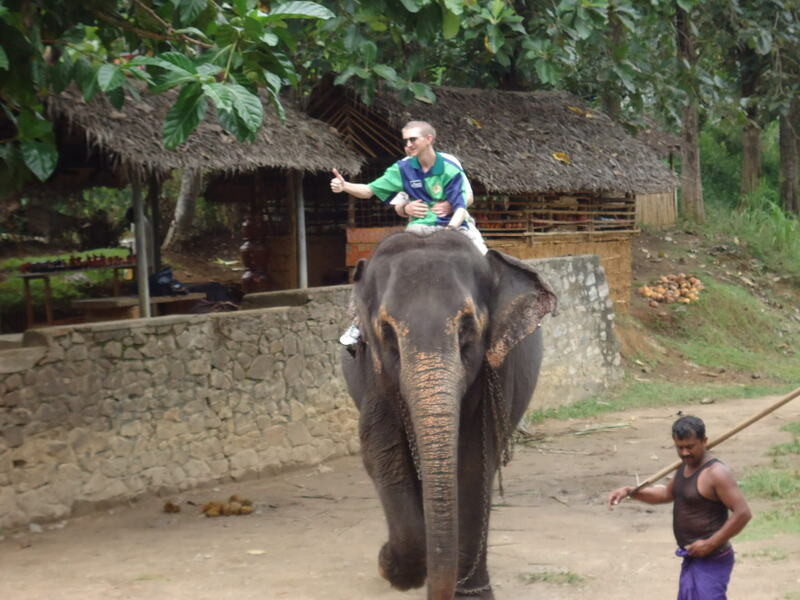 If you want to experience elephant riding this is the best place to do it as the elephants don’t get a wooden box put on them and it doesn’t compromise on their poor treatment. 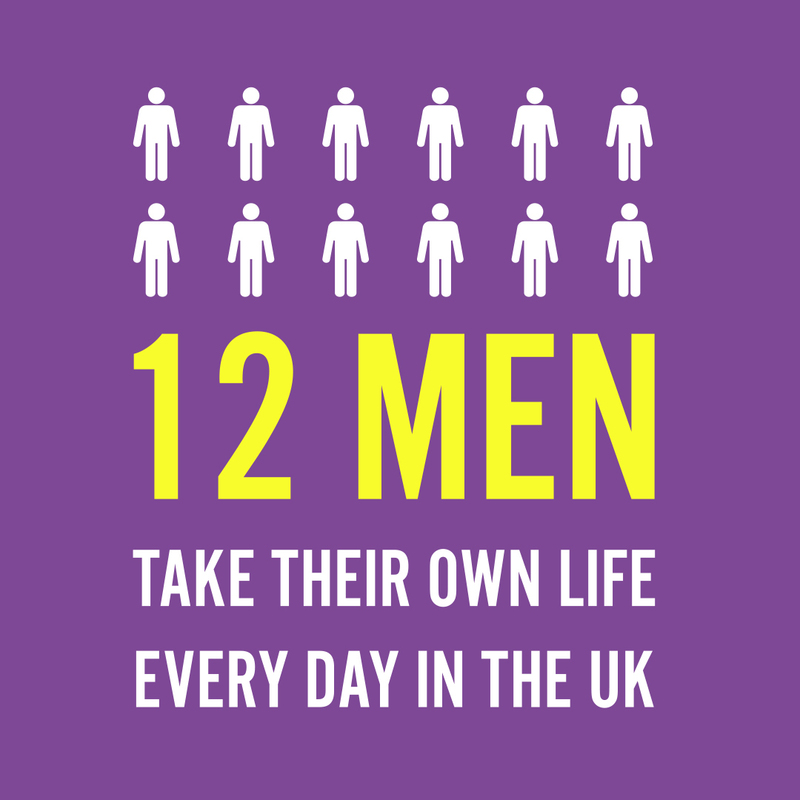 They are well looked after here and there is a lot of fundraising and volunteer work done here. Elephant Riding in Pinnewala, Sri Lanka. I’ve taken a ride on a cable car in a load of different countries including the longest cable car ride in the world at Tatev in Armenia. 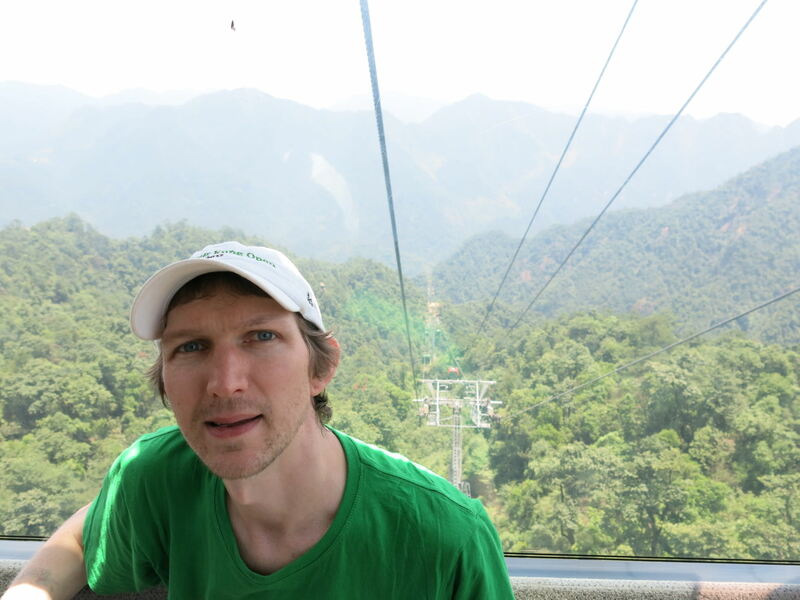 But the Cable Car ride in Sanqing Shan in China and the Chongqing Yangtze River Cable Car remain my most memorable rides on these. On the Cable Car in Sanqing Shan, Jiangxi Province, China. I cruised down the Yulong River in China’s Guangxi Province on a bamboo raft. The ride lasted a few hours through immense scenery in a beautiful part of China. 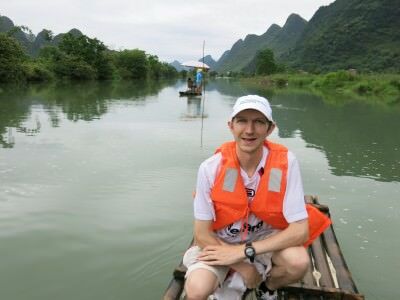 Bamboo Rafting in Guangxi Province, China. 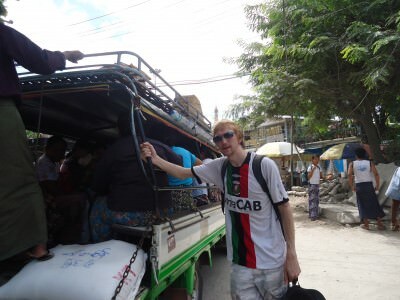 I’ve had a few rides on a pick up truck in places like Laos and Myanmar. Grabbing a ride on a pick up truck in Mandalay, Myanmar. 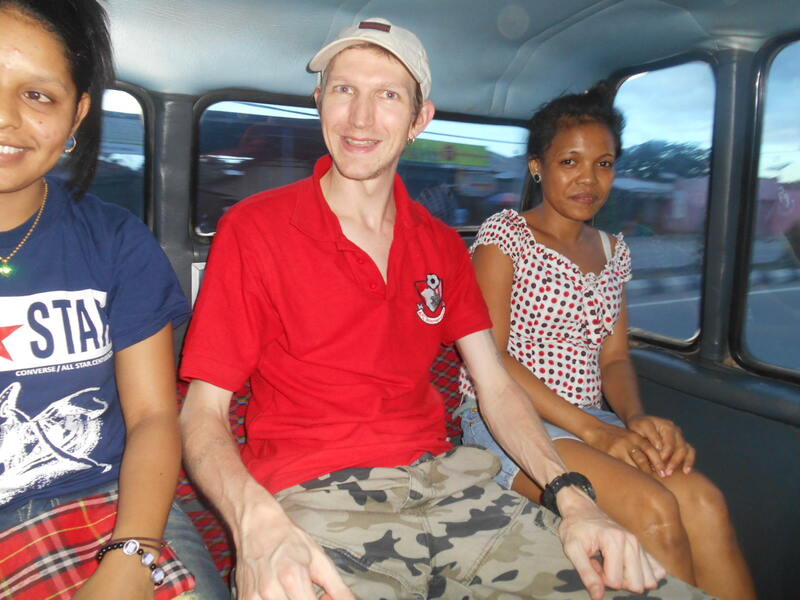 East Timor doesn’t offer many options for public transport. In fact the only real example are the Mikrolets which are prominent and readily available in Dili. These are very similar to the Indonesian Bemos. Cost is 25 cents a ride. Backpacking in Bolivia ranks as one of my most memorable travel experiences ever. 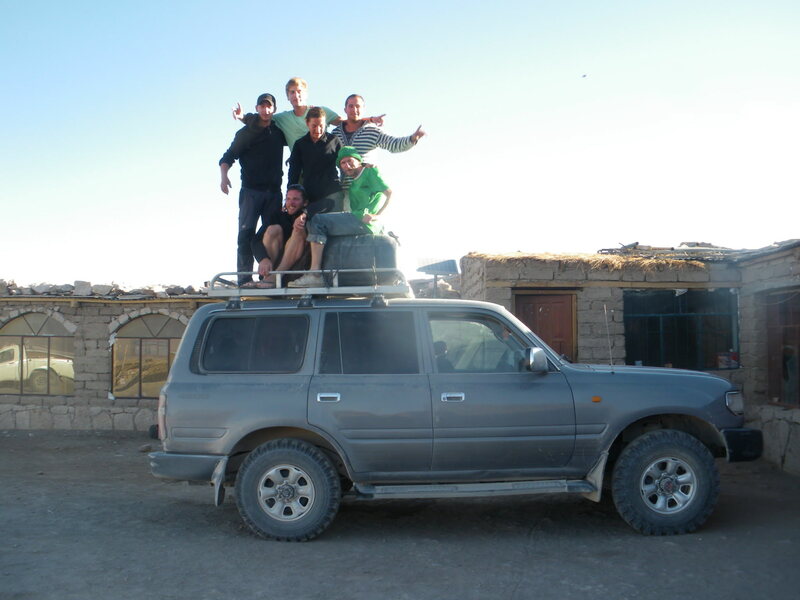 I simply loved touring the cities of Potosi, Uyuni and La Paz. A really beautiful country. However the highlight of Bolivia for me was the three day jeep tour on the 4 x 4 jeep through the Salt Flats and Deserts. I covered the entire trip in some detail before on here and also wrote a guide to touring Bolivia on a jeep. On top of our jeep in Bolivia touring Laguna Colorada. These small wooden fishing boats are normal in most parts of South East Asia. A relaxing way to tour the seas. 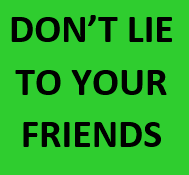 The only thing is you do get wet – so make sure you don’t bring your laptops etc. if you can. On a fishing boat in Don Det, Laos. OK so it’s not that unusual, but we NEED to travel on bicycles sometimes. I love it, just done some cycling in East Timor this week and being on a bicycle allows you to properly experience the air, stop off where you want and save fuel while doing exercise. Pretty perfect in fact! I loved cycling in Uruguay and South Africa. 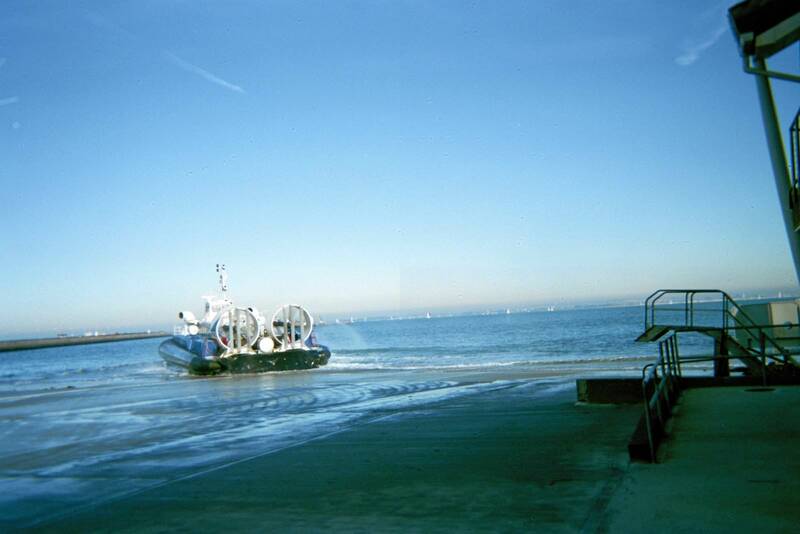 On my first trip to the Isle of Wight in 2006 for a football supporters club meeting, we took the Hovercraft from Portsmouth over to Cowes on the Isle of Wight. In fact, this may well have been my only ever time travelling by hovercraft, but I loved it. Our hovercraft to the Isle of Wight in 2006. I first heard of “Dhow” ships when I watched Michael Palin’s “Around the World in 80 Days” TV show in the late 1980s. Finally in 2013, when I was in Doha in Qatar, we did a Dhow cruise. 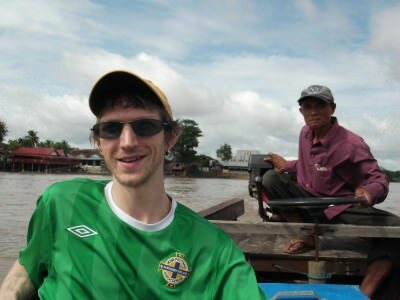 It wasn’t anything quite like Palin’s adventure though – I think he went from UAE to India by Dhow. 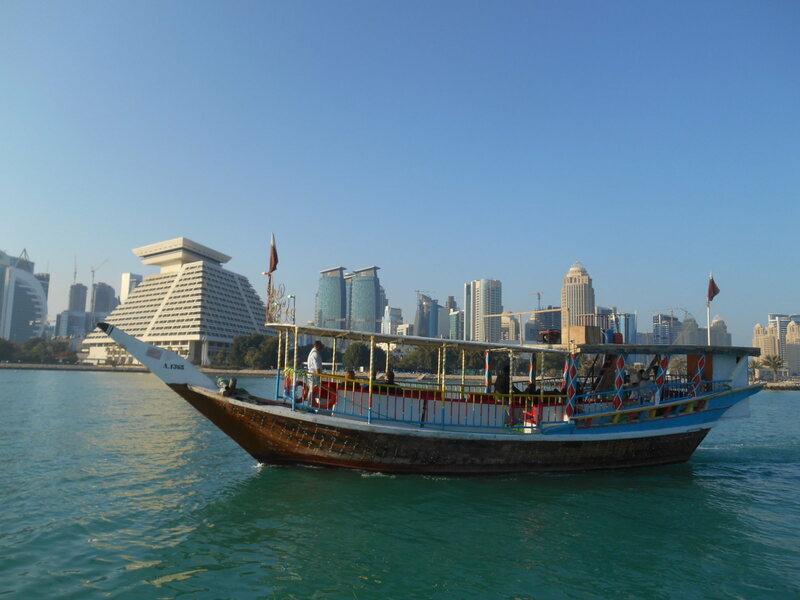 We simply did a one hour cruise of Doha harbour, which is one of the best things to do if you have a day in Doha. Quirky transport types – a dhow cruise in Doha harbour. On my 2007 backpacking adventure in New Zealand, I rode on what was then the world’s fastest speedboat. It was known as an Agro Jet and was in the city of Rotorua. 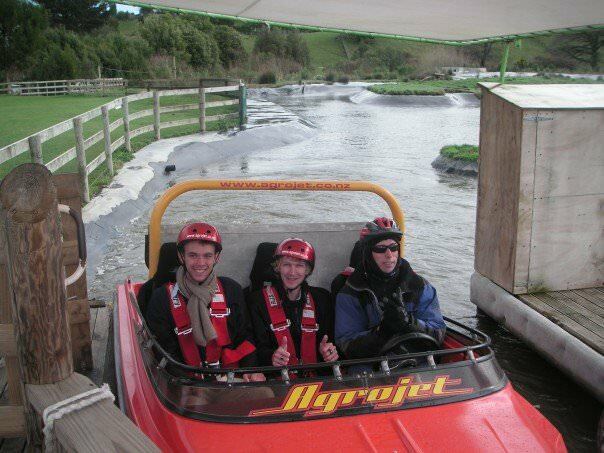 In 2007 in New Zealand riding on what was once the world’s fastest speedboat. 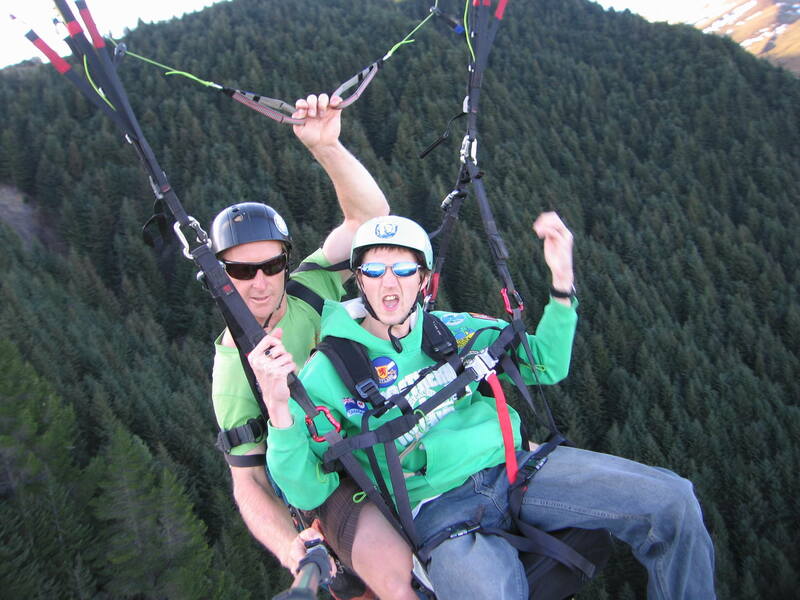 All the crazy adventure sports happen in New Zealand. As well as the speedboat ride in New Zealand, bungy jumping and sky diving, I also went paragliding when I was in Queenstown. The wind on your face as you glide slowly down to land is just amazing. A great experience. An unusual “transport” option of course but it does get you from A to B so it’s on the list. Paragliding – a novel way of getting around in Queenstown, New Zealand. 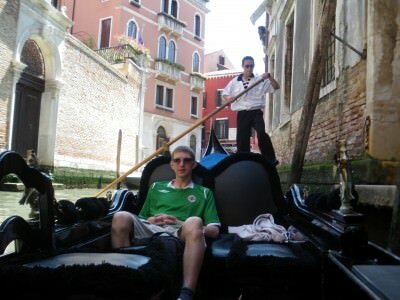 Even as a cheap backpacker in Venice, you should aim for a trip on the Gondolas through the canals. Awesome experience, even if the person I was with didn’t care about me, the Gondola or even Venice. Alternative types of transport – Gondola in Venice, Italy. 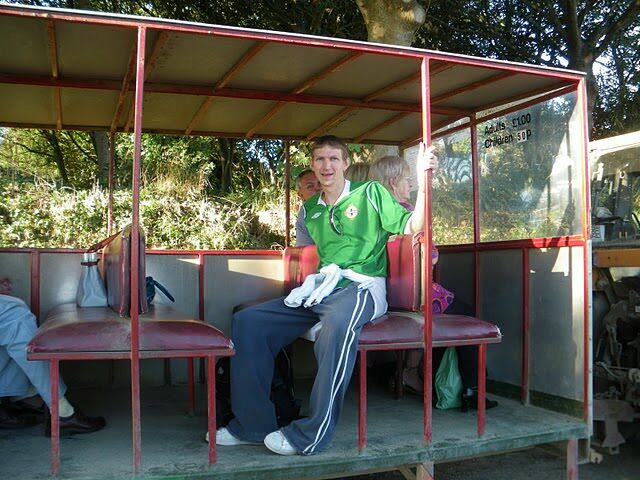 Trams are cool. I love them. The country I grew up in, Northern Ireland got rid of trams and trolleybuses years ago, but thankfully in Eastern Europe and also places like Hong Kong and Christchurch. 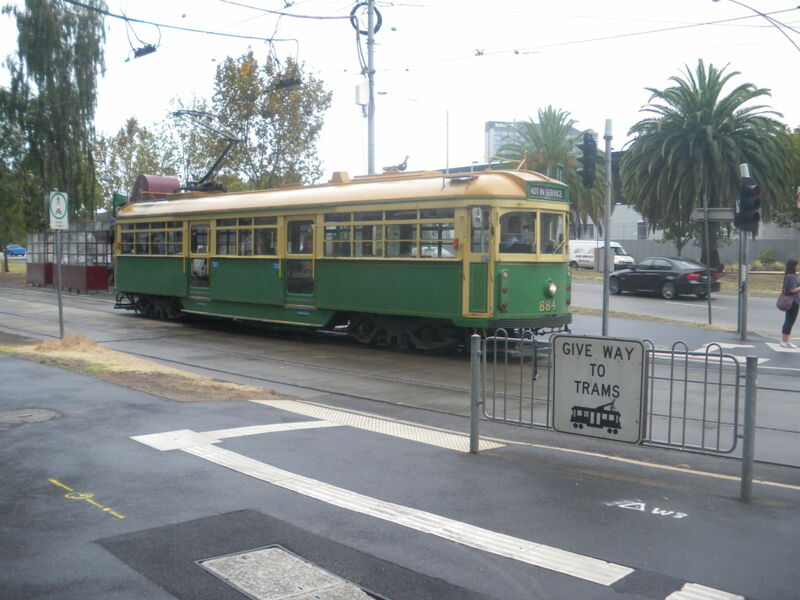 I’ve included a photo from Melbourne’s trams in Australia. A Tram in Melbourne, Australia. I hitched a ride on the back of a golf cart once in Hong Kong and again in China. 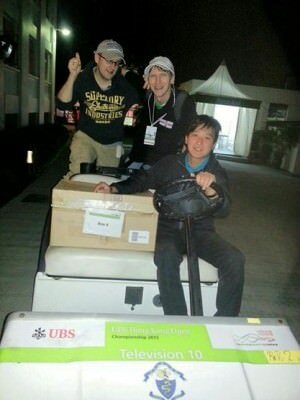 After the Hong Kong Golf Open in 2012, we got on the cart and got a lift back to base. On the back of a golf cart in Hong Kong. 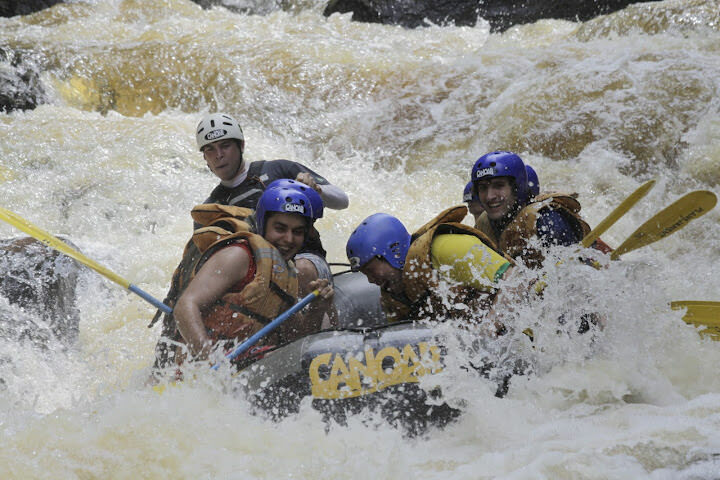 I’ve been white water rafting a few times – always a good laugh! 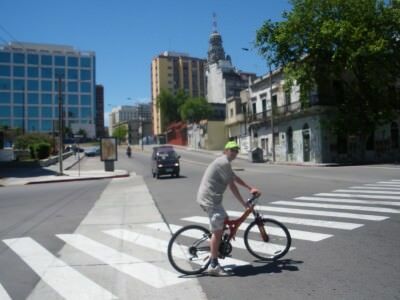 Latest one I did was in Juquitiba in Brazil with my mate Rodrigo. White Water Rafting in Juquitiba, Brazil. A catamaran is a cool alternative to the normal ferries and boats from my travels. 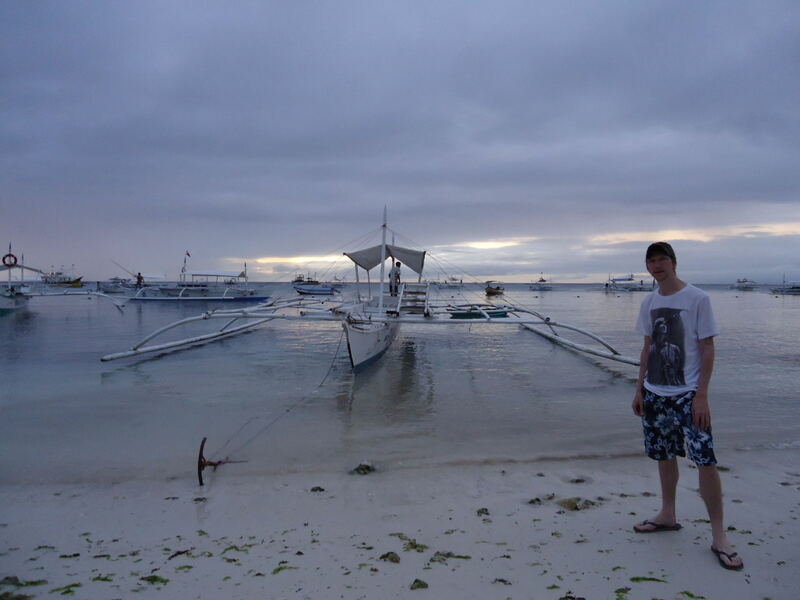 We went dolphin watching in Panglao on a catamaran. 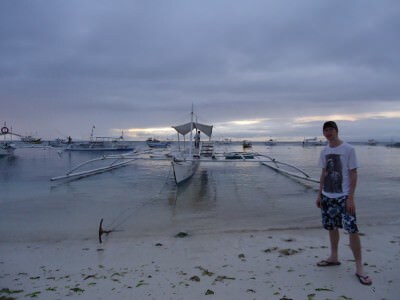 Getting a Catamaran at Panglao Island, Philippines. 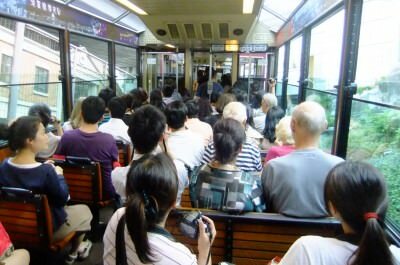 The good old “Peak Tram” in Hong Kong. I’ve actually taken it 4 times now (3 times up and down, 1 time down only). It’s a red old school tram that takes you up to the top. It’s not cheap or even a backpacker option, but when you’re earning money in Hong Kong, it becomes easily more justified! 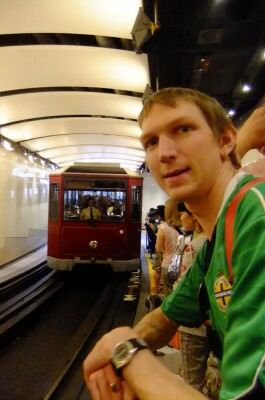 Waiting for the peak tram in Hong Kong. 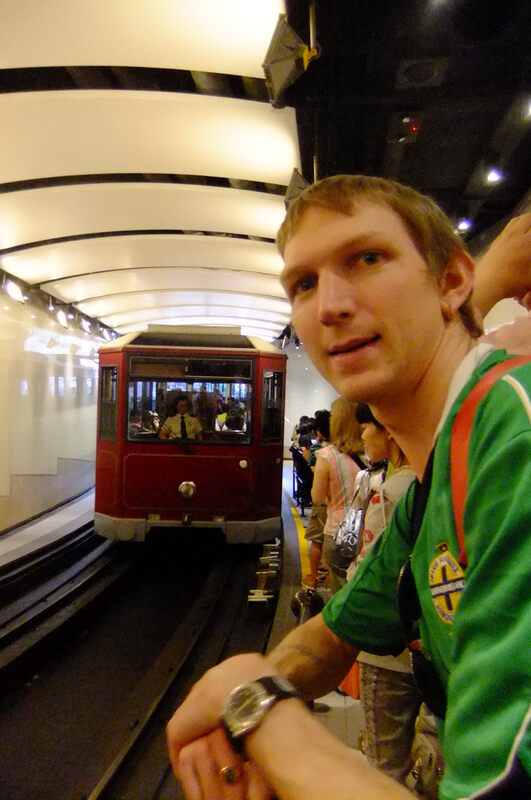 On board the peak tram in Hong Kong. Notable absentees include Jeepneys in the Philippines, scooters and motorbikes. Quirky transport that I have yet to try are Hot Air Balloons, Helicopters and Snow Jets. Some day for sure. Safe travels! This entry was posted in Destinations, Lists, Transport. Bookmark the permalink. Riding a camel in Iran sounds so cheap and great! I hope to make it there soon! Great post Jonny!